Call it a UAV, UAS, drone, RPA, RPV, or quadcopter. It doesn’t matter. What matters is that it’s up there so that you can stay down here and it’s a great enabler. UAVs have the insurance world buzzing. UAVs have been available for a few years. However, equipment costs, flight time, training and certification requirements, and corporate inertia have combined to keep them out of the insurance world till quite recently. Funnily enough, the industry went from ground level to satellite imagery quite willingly but left out the airspace between down here and way up there for a very long time. It’s time now. 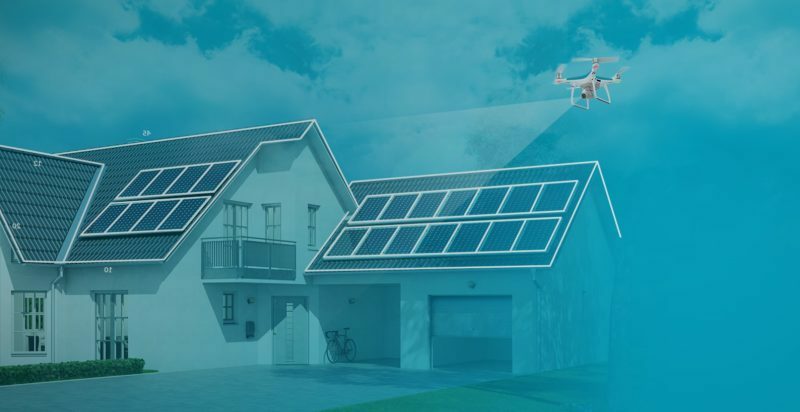 There aren’t a lot of opportunities to use UAVs in the insurance industry:This is a common fallacy. There were over 50,000 roofing insurance claims in 2016 in Canada. The Prairie Provinces regularly sustain major summer hailstorms. Then there are the underwriting opportunities – risk assessments are a lot easier without ladders and safety equipment. UAVs are expensive:Yes, many cost hundreds of thousands of dollars. A lot more cost a few tens of thousands of dollars. However, in reality, the ones that the insurance industry needs cost about $3,500 (with a lot of extras included). Training and certification cost well under $2,000 per operator, and UAV insurance is getting cheaper all the time. These are Year 1 costs. Year 2 and beyond will incur insurance plus nominal service and maintenance costs. The UAV will last a few years under normal working conditions. They have limited flight time capability:Yes if you compare them to helicopters and airplanes. A resounding “NO” if you evaluate productivity. A $3,500 UAV will fly for about 30 minutes per battery. That’s enough time for up to 3 roof inspections with the right system. It takes under 5 minutes to swap batteries and get the UAV airborne again. Throw in driving time, set up, and coffee breaks (for the operator, not the UAV) and you should get about 10 inspections done per day quite easily. Every day. The regulations are prohibitive:Transport Canada (TC) has many rules in place and is evaluating them all the time. The emphasis is on public safety and operator knowledge. You currently need a Special Flight Operations Certificate to legally fly. The initial paperwork can be daunting and the process can take a few weeks. However, TC is actively working on simplifying the former and speeding up the latter. Changes could start taking place as early as January 2018. The outputs aren’t all that good:The most common tool carried on a UAV is a camera. Inspecting a roof with a hobby drone equipped with a 2MP camera controlled by an operator fiddling with a joystick will result in poor to average image quality. However, a 20MP camera operating on a drone with stabilizing technology controlled by software designed for the task will produce phenomenal results. Satellite imagery doesn’t come close to the quality of photographs that are taken from UAVs. Details down to one-tenth sq cm are possible and measurement accuracy is extremely high. More importantly, high-quality images allow an adjuster to determine not only that damage has occurred but also assess type of damage (e.g., pre-existing). Simply put, there’s considerable misinformation – or no information at all – hovering around. A lot of vendors are trying to migrate UAV services to the p&c industry from businesses that have used them for years (e.g., mining, pipelines, and aggregates). That’s a bad case of the uninformed attempting to lead the unwilling. Insurers, roofers, restoration contractors, and IAs have specific work processes, desired outputs, data requirements, and customer service standards that simply aren’t the same as in other industries. FACT: A UAV will keep your roof inspectors safe from falls and injuries. No more slippery roofs to traverse. 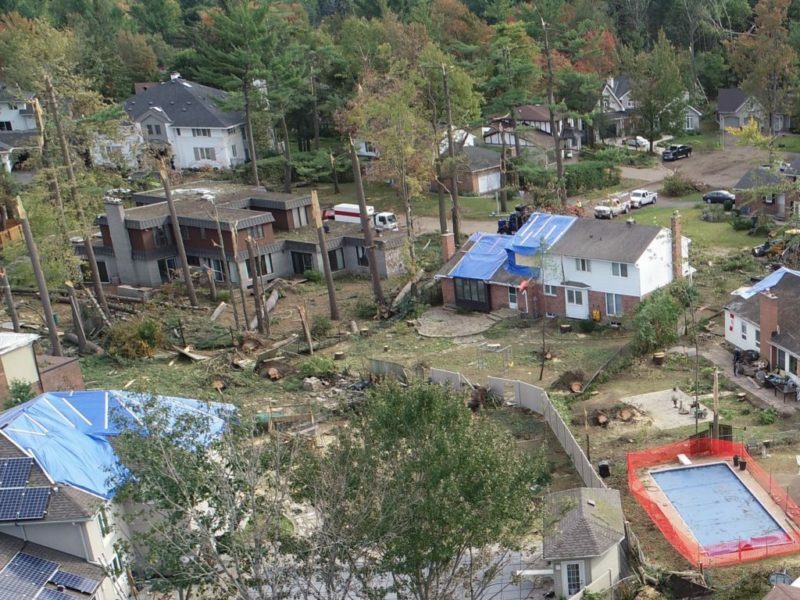 FACT: It’s cheaper to insure a UAV and associated liabilities than a roof inspector. A lot cheaper to fix, too, if things go wrong. 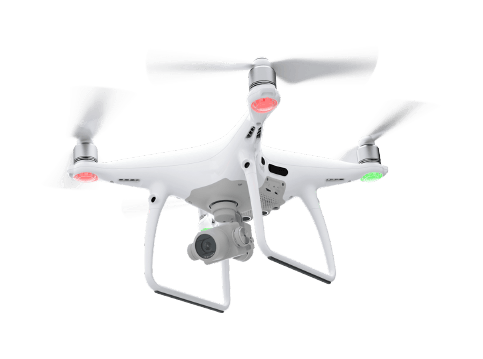 FACT: A UAV will get 4x to 5x the number of roof inspections done per day compared to an experienced roof inspector with a ladder. Every day. FACT: A UAV will pay for itself in a matter of weeks when you factor in acquisition, running costs and productivity. FACT: A UAV will reduce your claims cycle times, improve your underwriting risk assessments, and remove a considerable risk from your inspectors’ job. 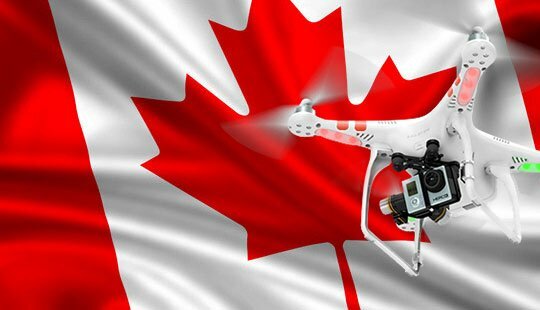 Drone Software Canada provides a complete solution for aerial property inspections: a ready-to-fly UAV kit, proprietary software designed for the insurance, restoration, and roofing industries, training per Transport Canada knowledge requirements, a comprehensive insurance package, and decades of industry experience to ensure that our clients get the most out of their investment.